the program. The ramifications of the PPACA can be broadly characterized as the good, the bad, and the ugly. The PPACA is intended to continue healthcare coverage for all insured Americans and to further extend it to all uninsured Americans through either aid or taxation. The benefits are obvious as those without medical insurance can now receive healthcare. It can also be argued that an additional benefit is that those who can pay will equally share the burden of their fellow taxpayers. While good healthcare is beneficial to every American as an individual, the effects of PPACA on the healthcare system, the economy, and on the population as a whole are still undecided as to whether they will be beneficial or not. Only time will tell if the program succeeds or not. 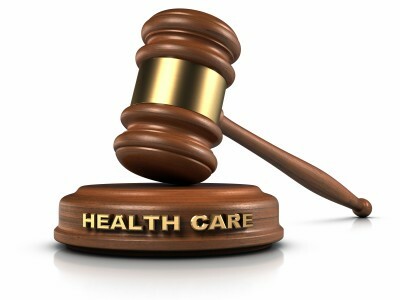 In any event, the Supreme Court, in making its decision, ruled that the PPACA is indeed a tax and, thus, there will be some very real and negative economic ramifications for all taxpaying individuals. Regardless of the way the new tax is implemented, it will affect every company (except those exempted obviously) that does business in the United States. There seems little doubt that a 2700-page regulation, affecting literally every employed American, will generate enormous amounts of paperwork. Paperwork is rarely anticipated with joy by any company. Laws or regulations that include particularly egregious penalties are liked even less. The PPACA promises both as the reporting requirements and penalties are one of the few features of the law that are exactly delineated. In addition, paperwork entails more than crossing the T’s and dotting the I’s when complying with the PPACA. There are very real costs associated with this law. Proper record keeping will ensure the most accurate and lowest employer contributions and will diminish or eliminate penalties and interest. Multinational and many large companies have the staff, experience and connections to understand the implications of the PPACA for their company. Smaller companies might also have the resources but with smaller numbers of employees, the effort required might be better spent concentrating on the company’s core competencies. Instead, to deal with the PPACA, it may be better to look for an alternate solution. Professional Employer Organizations have already been hard at work reading and understanding the PPACA and have formulated many strategies for accurately and cost-effectively implementing the law. While PEOs will expend the same or greater amount of effort in dealing with the PPACA, they can leverage this effort across many companies and, consequently, reduce the cost of administration for every participating company. Similarly, a better understanding of the law will allow for a more thorough implementation and more accurate record keeping with a resultant drop in employer contributions, penalties, and fines. Certainly, a PEO solution to the new PPACA will exact financial benefits. In addition, it will provide some very real, albeit intangible benefits. On the employee side, morale will improve as all employees will be assured that an adequate level of healthcare will be available when necessary (a situation that was not always the case in the past). A more productive workplace will result. On the employer side, HR administrators, senior company executives and business owners will be relieved of much of the strain and aggravation of implementing and monitoring this new law. A renewed concentration on the core of the business should reap rewards that are not directly assignable but that will show up on the bottom line. The arguments have been made and the decision rendered. It is now the task of prudent company owners and HR administrators to most effectively comply with the new law. An outsourced PEO solution should be given serious thought as it provides the most cost-effective answer. Carolyn Sokol is a founder of PEOcompare.com which helps match small businesses with the best PEO companies for their particular needs. Her background is in marketing and communications, employee education and training, development of policies and procedures and the ongoing delivery of outstanding service to customers. As a frequent contributor to PEOcompare.com’s library, she writes about PEOs and how to outsource hr or outsource payroll as well as other small business interest topics.